I am proud to announce that I am partnering with some awesome local, sewing-related businesses to offer you an amazing Sewing Prize Pack Giveaway. 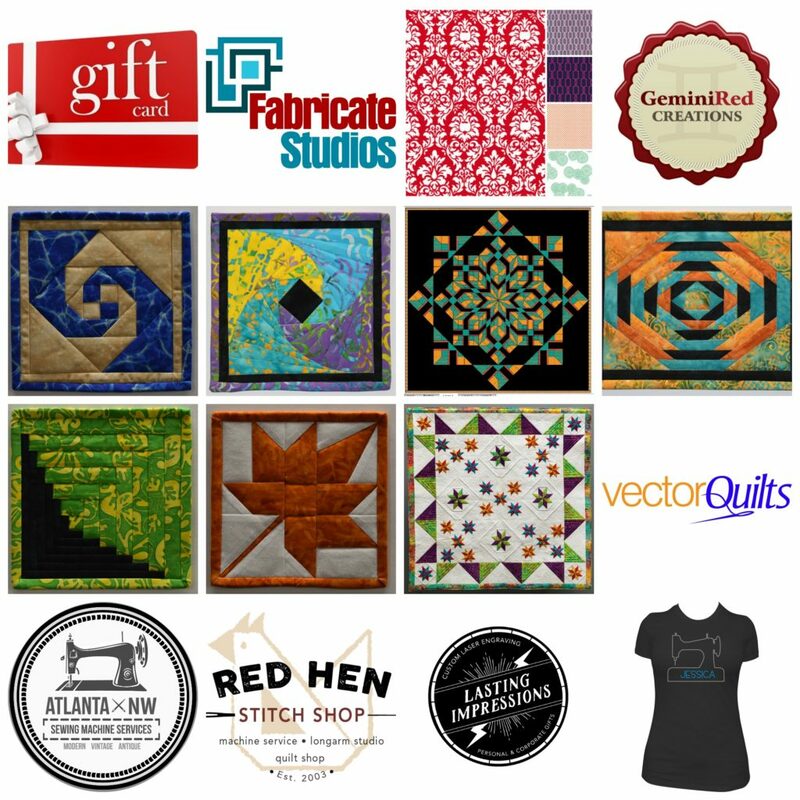 Fabricate Studios, Red Hen Stitch Shop, Lasting Impressions, Atlanta NW Sewing Machine Services, and Vector Quilts have come together with me to sponsor this giveaway valued at over $400. The items being given away range from gift cards to service for your sewing machine to patterns and fabric. You certainly can’t go wrong with this prize pack (unless you don’t live in the Atlanta / Metro Atlanta area). I know each of these business owners personally, and have done business with them. I respect each of them immensely, love their businesses, and I’m so excited to share their businesses with you. Let me tell you a little about each one. 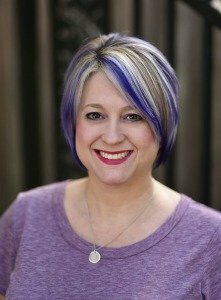 I first found Fabricate Studios when I was looking for classes to up my sewing game. I have taken several classes there and I love the studio space and all the people who work there. Everyone is down to earth and authentic and you get real hands-on experience in each of their classes. You always leave with tips and tricks to tuck away for your next project! I was introduced to Andi of Red Hen Stitch Shop and David of Vector Quilts through my friend Russell who has taken quiliting classes with both of them. 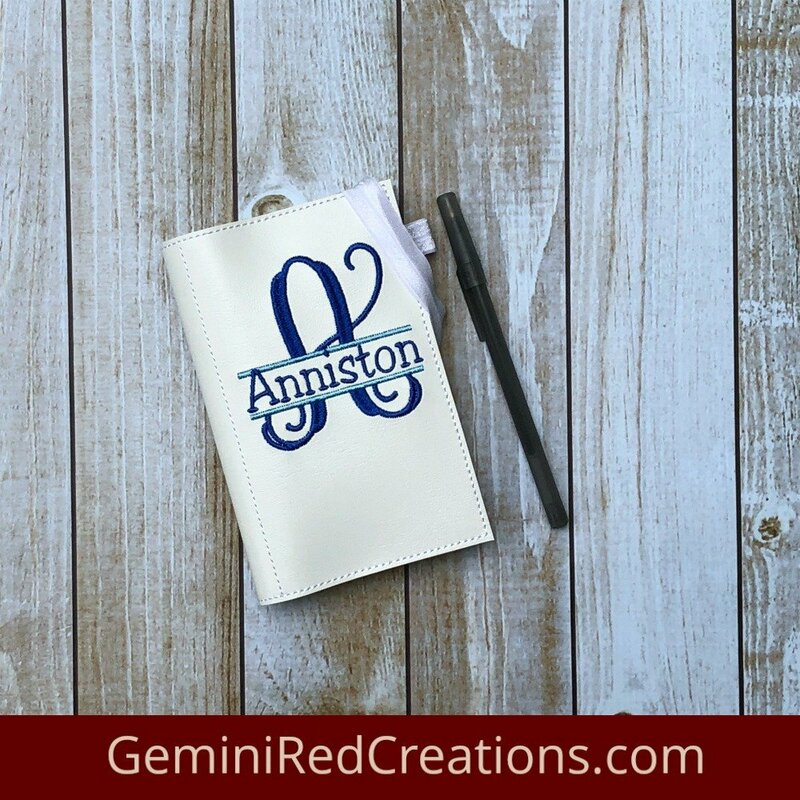 Because of his introduction I have been able to get to know both of them and work with them on a few different things – including through my GeminiRed Virtual Services business. The Red Hen Stitch Shop is a great place near the Marietta Square and is filled with lovely fabrics. Y’all know I love fabric so it’s like being in Heaven when you walk in the shop. Inside the Red Hen Stitch Shop you will also find Andi’s business – Atlanta NW Sewing Machine Services. Andi services both vintage and new sewing machines. I can’t image a day surrounded by all the lovely vintage machines that pass through her hands! Lasting Impressions is a great business run by Paul, Andi’s husband. The shop is filled with nifty items ranging from custom laser engraved tumblers, t-shirts and handmade seam rippers (they are beautiful)! If you are looking for unique gifts check them out. I have used Paul’s services to laser cut pattern pieces for me so I can make my fleece snowballs. His percise cutting makes it so much easier and is a huge time and money saver for me! Last, but certainly not least, is Vector Quilts. David designs amazing quilts for everyone from beginners to advanced quilters. He has attended the Houston Quilt Show as a vendor for Vector Quilts and also as an ambassador for Batik Textiles who has beautiful fabrics that make the most beautiful quilts. If you love to quilt, you must check out Vector Quilts and learn more about what David has to offer. Be sure to check out each of my partners for this giveaway, and don’t forget to enter!